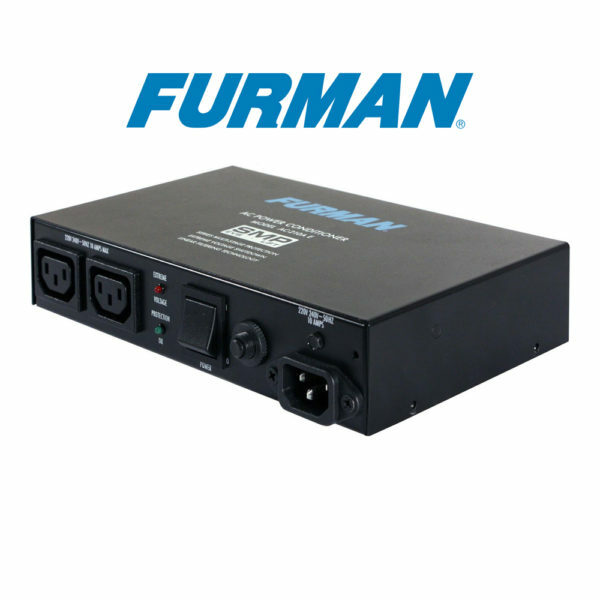 Unique to Furman’s SMP is its unparalleled clamping voltage, even when tested beyond the grueling specifications of – USA/CIDA’s A-1-1 test. While other designs offer clamping voltages that are well above 300VAC peak (far beyond long accepted professional standards), Furman’s SMP clamps at 376VAC peak, 275 VAC RMS even when tested with multiple 6000VAC – 3000 Amp surges! This unprecedented level of protection is only available with Furman’s SMP technology. At only 1.75’H x 5’W x 8.5’D, and weighing in at only 3 lbs., the AC-210 A E’s compact, low-profile design makes it ideal for mounting to the back of a flat-screen television, or anywhere that discretely located, remote power protection and purification are needed.